I am mainly a whisky/bourbon sipper. Never owned a bottle of rum. What would you suggest as a sipping rum for someone just getting into rum? I like Barrilito 3 Star, from Puerto Rico, if you can find it. I am no expert on rum, but I do like a sip every now and then. Look at Pyrat XO, Apple Estate or Mount Gay Extra Old. All are very good and easy to find. I think the Pyrat XO is a bargain at $20. I'm formulating a shopping list for a sipper. So far i have RZ23, Appleton 12, ED 12. Some very comprehensive advice there, cant go wrong I say!. I will add my two cents and back the suggestions for appleton 12 and mount gay xo, pick one or both, but i would suggest startting here. Pretty new to the Rum game myself, having gotten into it after trying some Balcones Texas Rum (still my favorite). Thanks to this thread I did go shopping for some rum today, and also because national rum day is coming up, well its actually national rum day for America, but hey whatever, it works for me. And to my suprise there was no age stated appleton, only the standard and the resrve blend, which was just released here. So i bought a bottle od mount gay xo. 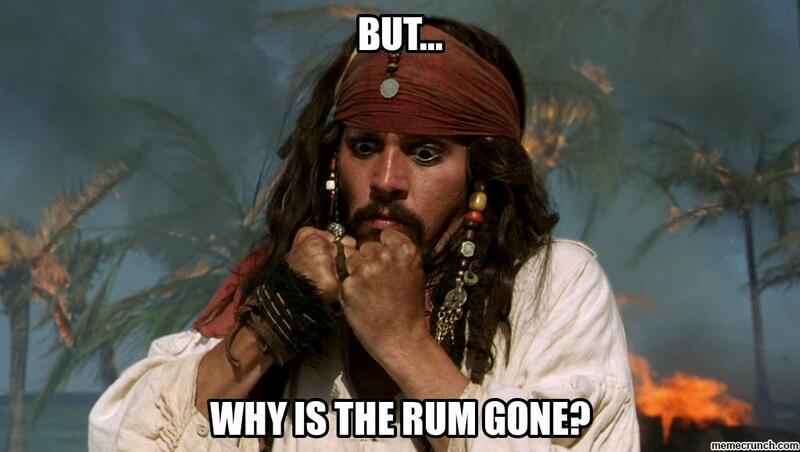 Im wondering, is there a rum shortage too? No particular shortage of the Appleton 12 or rum in general on the shelves here that I have noted. Might just be an Australian thing. El dorado 12 year. No comparison. Spring for 21 if money is available. I picked up my first bottle of rum ever, an Appleton 12 year old. When I opened it and had some, I must say I was a bit dissapointed because it tasted so much like bourbon. I don't know what I was expecting, having no previous experience with aged rum. It was a bit confusing. I thought it would be completely different than anything else I had before. When I tried it again a few days later, I started liking it more. It tasted less like a bourbon. The aromas made more "sense", the taste and mouth feel stood out more. I have to say this has a thick syrupy mouth feel, unlike any whisky I've had. I guess it will take me time to appreciate the differences between whisky and this. It is an acquired taste. Does all aged rum, including agricoles, taste like whisky, more or less? because of the ex-bourbon barrel ageing? You bring up a pretty interesting point here, I have had experiences with both MT gay xo and appleton 12 where upon opening they were almost identicle to bourbon, but given only a few short days the rum character started to come through more pronounced. If you aren't choosing a rum from Barbados or a French Agricole or some of the Jamaican rums like Appleton you are likely to get less of a whiskey similarity. Zaya, Zacapa, Santa Teresa, Pampero Aniversario are all sweeter style rum. Most any of the Spanish style rums from Puerto Rico (Don Q, Barrilito and of course Bacardi, the vodka of rums...), the Dominican Republic (the 3 B's, Brugal, BarcelÃ³, Bermudez and "private labels" like Atlantico and Matusalem) and of course Havana Club from Cuba if you have access to them. Cruzan from the Virgin Islands is another big producer of basic rums. There are tons of independent labels made by one of the larger producers. The Ministry of Rum has a search tool with many brands listed. I like to occasionally read the reviews on the rum gallery. As with any blog or website you have to read with a somewhat jaundiced eye and decide for yourself what is useful and not. Thank you, I appreciate all this information. Navigating the world of rum can be confusing for the beginner. At present I'm not sure how much easier it is for the intermediate... but when you get a good one, it sure is wonderful.